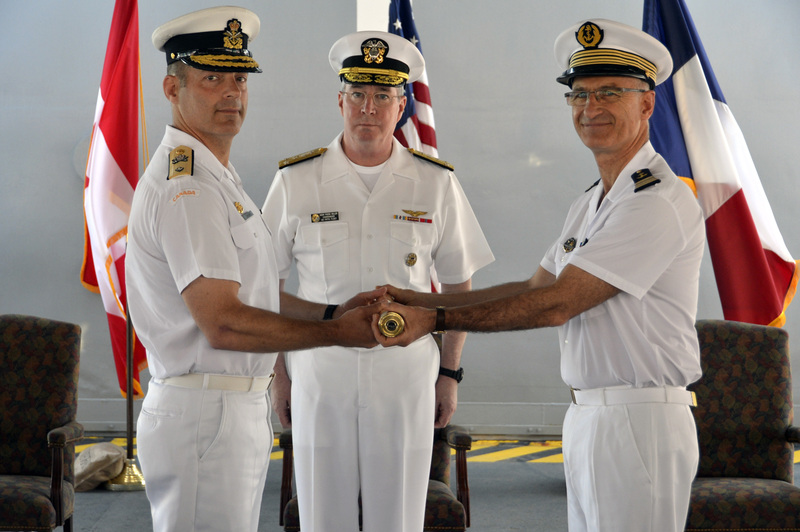 The French Navy has taken command of Combined Maritime Forces counter-terrorism operations in the Middle East and Indian Ocean regions after conducting a handover ceremony with Canadian Navy personnel. 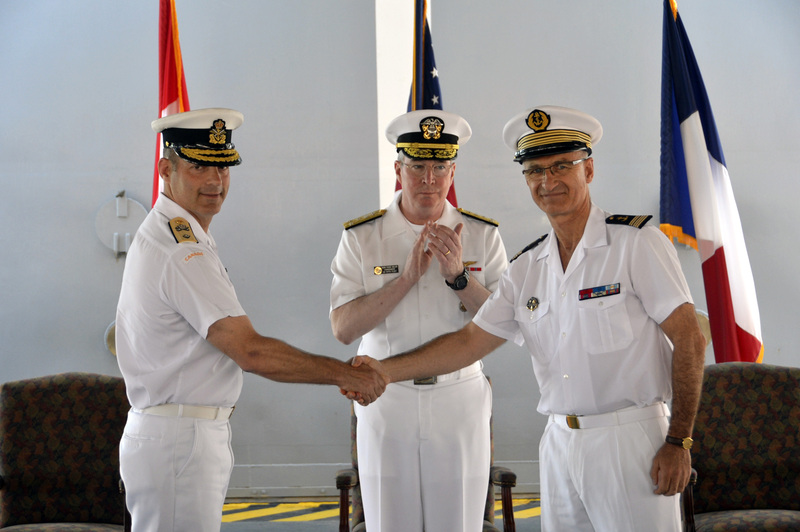 Capitain René-Jean Crignola of the French Navy assumed command of Combined Task Force (CTF) 150 from Commodore Brian Santarpia of the Royal Canadian Navy on 06 April 2015 at a ceremony on-board the French Ship Var in Bahrain. For the last 4 months CTF-150 the Canadian Navy supported by Australian Naval forces have been working together to deter terrorists and smugglers from using the seas as an avenue to finance crime and terrorist activity. The gulf and surrounding seas are one of the busiest parts of the world. In a gracious speech, Commodore Santarpia was immensely proud of what CTF-150 had achieved not only in the Combined Maritime Force (CMF) environment but their efforts in maintaining the maritime security of the region. He paid particular gratitude to Captain Nick Stoker of the Royal Australian Navy, Deputy Commander CTF-150 who gave him overwhelming commitment and support. Commodore Santarpia said: I am very appreciative of CTF-150’s outstanding performance, achieving their core tasks exceedingly well; even with what some would call a certain “zeal.” Equal to my gratitude for the professional achievements of our team is my respect for the outstanding support given to us by the greater CMF team, partnership nations, deployed assets and other force employers which have contributed to our operational effectiveness. CTF 150’s principal mission is to suppress the exploitation of the maritime environment by those with terrorist links. CTF 150 is committed to building maritime counter-terrorism capability in regional navies and to promoting regional security and stability. Its vessels also assist mariners in distress and other humanitarian work as required. CTF 150 is one of three task forces operated by the Combined Maritime Forces, a 30 nation maritime partnership headquartered in Bahrain. CTF 151 is focused on counter-piracy operations in the Gulf of Aden and CTF 152 is focused on maritime security operations in the Gulf.